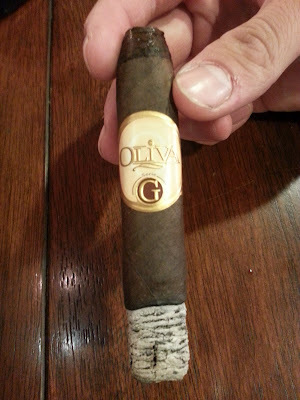 Appearance (0-20): The Oliva G has a beautiful dark maduro wrapper that looks delicious. There are no blemishes that are noticeable, and the cigar is wrapped with a pretty generic band. The band basically includes some basic colors, the brand, and the “G” to signify what series it is from. Great wrapper, but nothing else to really catch the eye. Construction (0-20): Overall, the construction was very well done. The only flaw could be that the cap wasn’t wrapped very flush. There were no real noticeable veins or soft spots to speak of. The draw was great, and the ash was outstanding. It held on for close to 3 inches and had a beautiful white color to offset the dark brown wrapper. Another nice aspect is how perfectly shaped the box press was. Strength (0-20): Sitting right in the middle of the scale, the G was a solid medium smoke. There wasn’t much to note, except that there was nothing to heavy that would overpower the smoke. Flavor (0-20): Right off the bat you will find some great, rich flavors. The smoke is essentially very sweet, and there is no real spice balance. If I am having a sweeter cigar, I do like to have some kind of balance in the flavors. 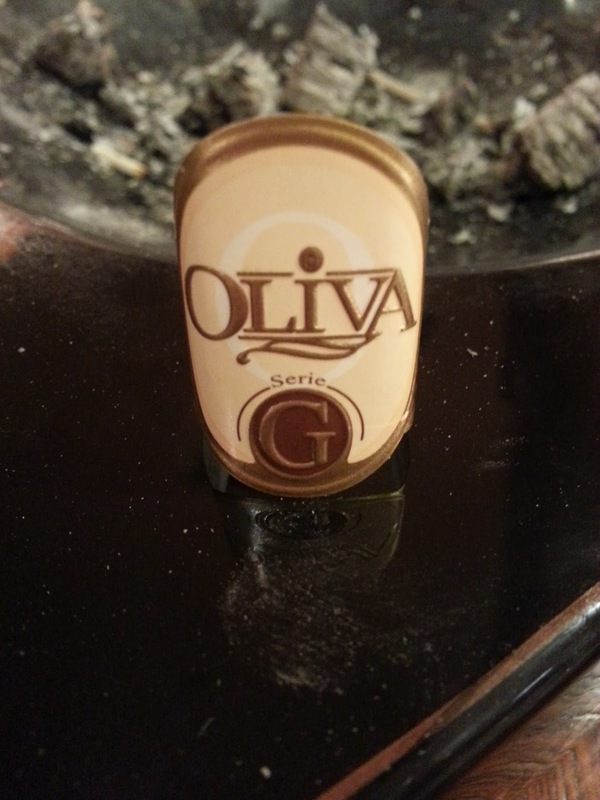 This was an exception, and could be considered a great dessert cigar. The most prevalent flavor notes are dark chocolate, coffee, and some woodiness. Start to finish, the flavors are very consistent and robust. Value (0-20): For a single stick, this is an outstanding value. Roughly $4.00 or less, there aren’t many smokes that I have come across that will deliver this kind of flavor for the price. 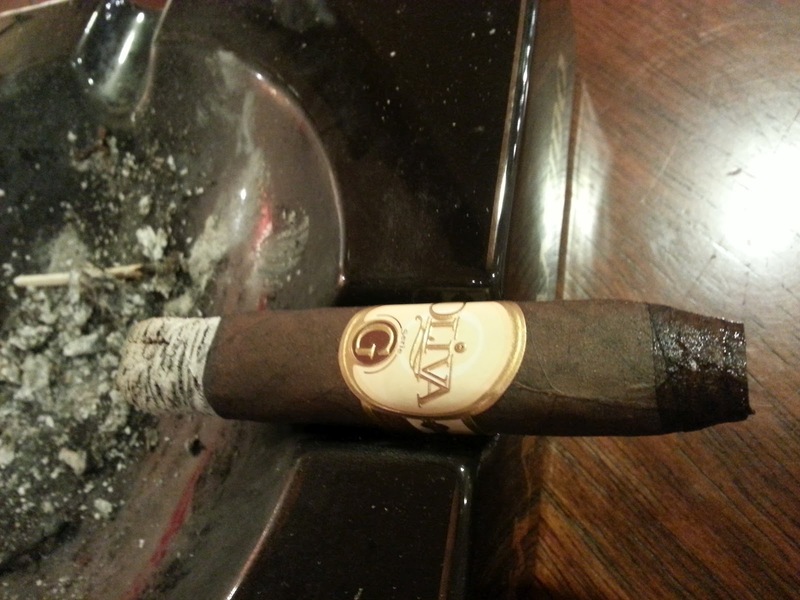 Every inch of the cigar has rich flavors, and the value is definitely present. Additional Notes: Smoked at CI, paired with seltzer water. Overall (0-100): Oliva isn’t really a go to brand of mine, yet they do produce some nice smokes that I enjoy. This is an excellent smoke for the price, and it actually surprised me. The flavors were consistent and the construction was excellent. 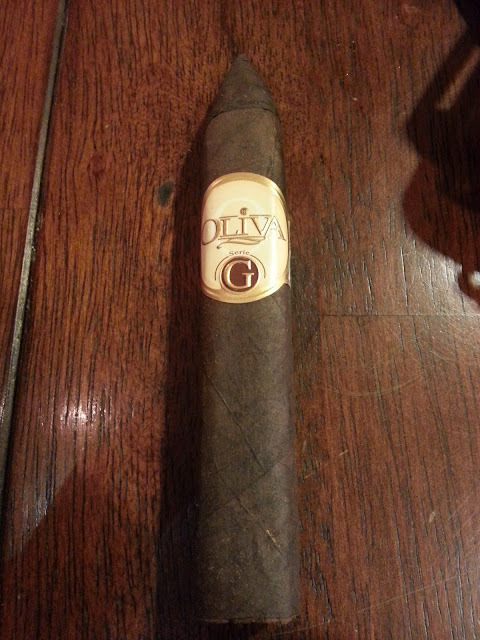 If you are looking for a cheap, rich, sweet cigar---this could be one that you might want to try.